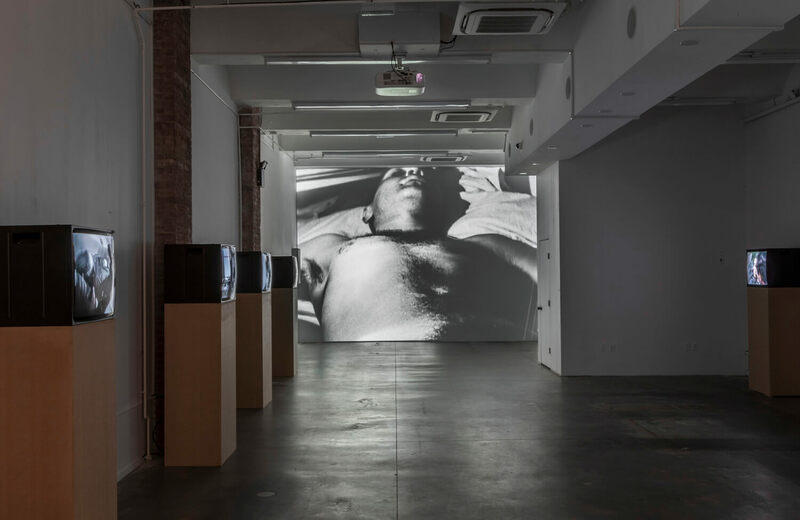 Ugo Rondinone: I ♡ John Giorno is a sprawling, multi-part exhibition that presents the extraordinary life and work of the poet, artist, activist and muse, John Giorno. 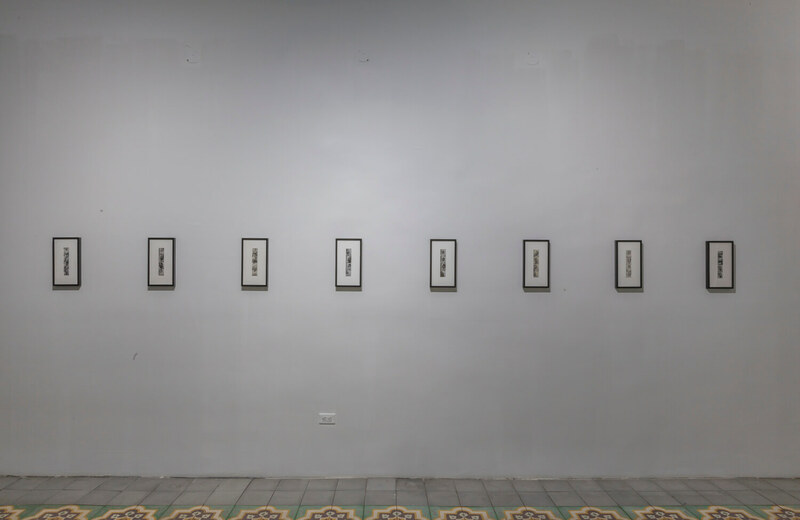 Encompassing thirteen venues around Manhattan and featuring paintings, films, sound installations, drawings, archival presentations and a video environment, this retrospective includes work both by Giorno himself, as well as work that he has inspired. I ♡ John Giorno is also a work of art by Giorno’s husband, the Swiss artist Ugo Rondinone, who has been creating sculptures, paintings, drawings and multi-media installations for almost three decades. With this project, Rondinone presents a prismatic portrait assembled from thoughtful arrangements of the materials, experiences and relationships that have defined Giorno’s astonishingly wide-ranging artistic career. Foremost, though, the project is a joyous celebration of Giorno’s ubiquitous presence in contemporary culture, as well as his myriad contributions to it. Rondinone’s homage to his life partner, Ugo Rondinone: I ♡ John Giorno, is the latest, and by far, the most ambitious collaboration of Giorno’s career. 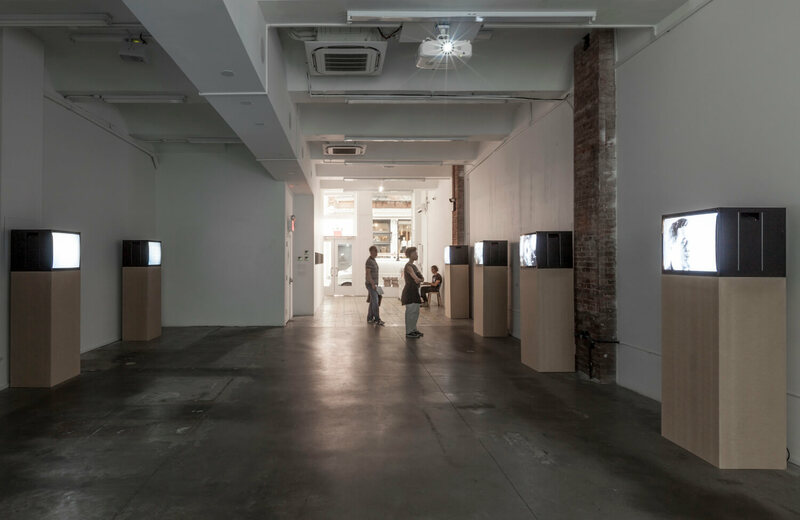 The project unfolds in eighteen chapters, each a distinct exhibition sited in a non-profit or alternative space in Manhattan. Every chapter takes the form of an immersive installation designed by Rondinone and dedicated to a body of work, an interest, a relationship or a collaboration that has marked Giorno’s life. This includes his poetry, painting, sound work and performance; his recording projects, and his founding of Giorno Poetry Systems; his AIDS activism; his Tibetan Buddhism and his vast personal archive that comprises a history of radical art and poetry in New York during the second half of the twentieth century. Several installations feature portraits of Giorno by different generations of filmmakers, painters, videographers and musicians. 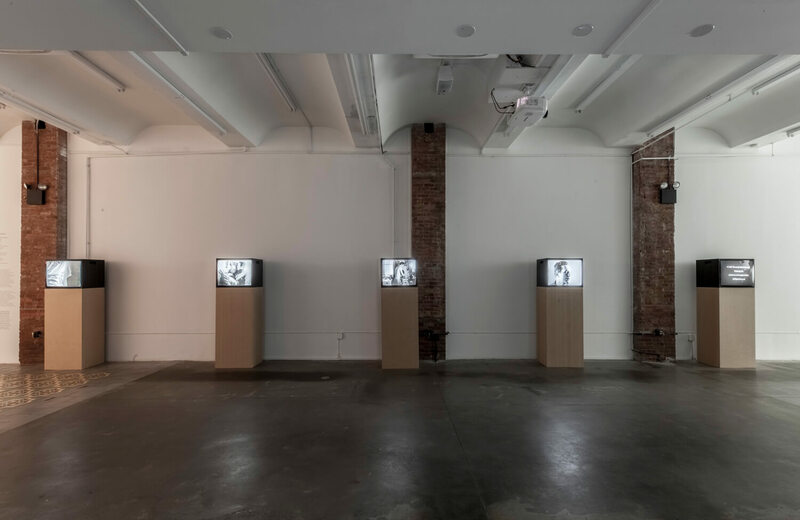 One consists of a single work: a multi-channel video installation by Rondinone consisting of multiple images of Giorno performing one of his recent epic poems. 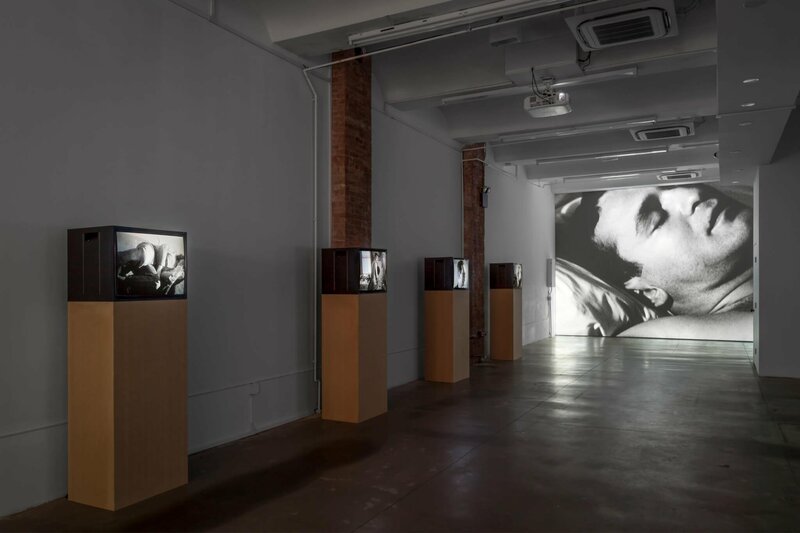 SLEEP AND OTHER WORKS at Swiss Institute presents John Giorno’s relationship with Andy Warhol as both lover and muse. Giorno first saw Warhol’s work in 1962 in an exhibition which included Warhol’s famous Campbell’s Soup Can works at the Sidney Janis Gallery in New York. Giorno met Warhol later that year at his first solo show at the Stable Gallery, and the two became close friends and lovers. Warhol went on to depict Giorno in multiple contexts, from his short films made at private parties and on weekends with friends to a series of Screen Tests (1964–1966) that were themselves an extension of Warhol’s insatiable obsession with portraits. In a static, silent, black-and-white style, with neither narration nor action, these filmed faces evoke photographs, and their tight, close-up composition and formal pose derive from early photo booth portraits made by Warhol in 1963, which are also on view. Ugo Rondinone (b. 1964, Brunnen, Switzerland) is a renowned mixed-media artist who lives and works in New York. Recent solo shows include: your age my age and the age of the rainbow, The Garage Museum of Contemporary Art, Moscow; let’s start this day again, Contemporary Arts Center, Cincinnati; every time the sun comes up, Place Vendome, Paris; girono d’oro + notti d’argento, Mercati die Traiano, Rome; becoming soil, Carre d’Art, Nîmes; seven magic mountains, Art Production Fund and Nevada Museum of Art/Desert of Nevada; vocabulary of solitude, Museum Boijmans Van Beuningen, Rotterdam; Ugo Rondinone: I ♥︎ John Giorno, Palais de Tokyo, Paris; golden days and silver nights, Art Gallery of New South Wales, Sydney; and artists and poets, Secession, Vienna. His work is in the collections of the Museum of Modern Art, New York, the Institute of Contemporary Art, Boston, the San Francisco Museum of Modern Art, the Walker Art Center, Minneapolis, and the Dallas Museum of Art, among others. Upcoming shows include the world just makes me laugh at Berkeley Art Museum and Pacific Film Archive, Berkeley; and good evening beautiful blue at Bass Museum of Art, Miami. Ugo Rondinone: I ♡ John Giorno is made possible in part by public funds from the Swiss Arts Council Pro Helvetia. The I ♡ John Giorno organizing committee gratefully acknowledges generous support from Van Cleef & Arpels, Fondation Jan Michalski Pour L’Ecriture et La Litterature, the Andy Warhol Foundation for the Visual Arts and LUMA Foundation. Thanks to Almine Rech Gallery, Brussels, London, New York and Paris; Elizabeth Dee Gallery, New York; Esther Schipper, Berlin; Galerie Eva Presenhuber, New York and Zürich; Gladstone Gallery, Brussels and New York; Galerie Kamel Mennour, London and Paris; Kukje Gallery, Seoul; and Sadie Coles, London for production support. Additional thanks to Ophelia and Bill Rudin as well as the General Consulate of Switzerland in New York for their gracious contribution, and to agnès b. for in kind support.